"She must have been, to keep a leopard, don't you imagine? Let's look around." She strolled down a hillside path next to the home she rents, up in the hills above Benedict Canyon. It had rained heavily the night before, the first rain in months, and raindrops were still shaking themselves free from the leaves. "I love my trees, of which I have almost every imaginable variety," she said, speaking with the quaintness of a Victorian heroine. "Look here. Persimmons. That's an old, old olive tree. Avocados...we have all the avocados anyone could possibly want, and then some. Lemons...Here's my lemon tree. These here are Japanese seedless pomegranates. And look at my poor birdbath. I bought it yesterday and filled it up with seed, and then it went and rained for the first time in months and the seed is all two inches underwater. Those are just ordinary old marigolds, of course. These are mimosas. Regular pomegranates, as opposed to Japanese seedless." She touched everything she talked about, while a small dog barked at her feet. "A plantain tree, Kumquats. These little things...these will be kumquats in March. This will be my Christmas tree...see how the deer come up and nibble from it? I leave the outdoor faucet dripping so they can get a drink. Good lord! What's this?" We were walking along the plank deck of her guest cottage now, and she used her toe to stir a small skull, picked clean. Her dog gave it, his undivided attention. "A rodent skull. Left behind, no doubt, by an enormous eagle we saw the other day, with a body as big as Tuppinski, that's my dog. I'd given Tuppinski a little squeal toy to play with, and that eagle circled for six hours. It wanted that squeal toy!" "I got him in England, when I was making 'The Shining.' Due to their quarantine laws, you can take dogs out of the country, but not in. At first I called him Puppy. Then I changed it into Tuppy. Then, when he wouldn't answer to that, either, I was watching this TV show about Stravinsky, and when I called him Tuppinski...he came just like he knew that was his name." We walked back up the path and into the house, and Shelley Duvall started to brew tea. She had become addicted to it, she said, during the 13 months she spent in England making Stanley Kubrick's "The Shining." How was it, working with Kubrick? I asked. "Almost unbearable," she said, matter-of-factly. "But from other points of view, really very nice, I suppose." She was standing next to an ornately carved old hat tree, covered with eccentric hats, and she pulled one down. "I got this in England, and I think it looks just like Olive Oyl. And I told Robin Williams that at the premiere I'd wear Olive's clumpy old shoes if he'd wear the arms...You know, the big Popeye arms they gave him? And a short-sleeve tuxedo." We took our tea and settled down in the book-lined living room, Shelley fussing over the teacups almost like Milly, the character she played in Robert Altman's "3 Women," the character so domesticated she had all her tuna-and-potato-chip-casserole recipes color-coded according to how many minutes each one took to make. She winced. "Hold on," she said, "here comes that little pain again. It only comes about twice a week now, and stays about two minutes. When I was in England, after 'The Shining,' I made a movie called 'The Time Bandits' for Terry Gilliam, of Monty Python fame. And the scene called for six dwarfs to come crashing through the roof of a medieval carriage, but the dwarfs were a bit afraid of jumping off the scaffold, and so Terry didn't think, he just jumped, and he weighs 180 pounds and landed on my head. I could have been paralyzed. As it is, there's just a pain that comes through my ears to my eye, and then goes away. I'm sure it can be fixed." I sipped my cup of Constant Comment and enjoyed being with her. Shelley Duvall is like a precious piece of china. She looks and sounds like almost nobody else, and if it is true that she was born to play the character Olive Oyl (and does so in Altman's new musical "Popeye"), it is also true that she has possibly played more really different kinds of characters than almost any other young actress of the 1970s. In all of her roles, there is an openness about her, as if somehow nothing has come between her open face and our eyes -- no camera, dialogue, makeup, method of acting -- and she is just spontaneously being the character. You sense that as much in "3 Women," where she flirts with men who ignore her, as in "Thieves Like Us," where she smokes a cigarette like nobody else, or in "Nashville," where she's a goofy groupie, or in "Popeye," where she wrestles with an octopus. "That was such a physical ordeal, making 'Popeye,'" she said. "Especially compared to a picture like '3 Women.' which was shot in six weeks in Palm Springs. For 'Popeye,' I spent two months jammed down that ship's funnel, screaming my fool head off. All of Bob Altman's pictures are like working with family, but for 'Popeye' there were a lot of Italians who didn't speak the language, and we were off there in Malta. Jules Feiffer, who wrote the screenplay, actually stayed for two consecutive months before he couldn't take it anymore and went back to New York for a night at Elaine's"
That made two physically demanding movies for Shelley, "Popeye's" grueling stunts, shortly after Kubrick's "The Shining," a Gothic horror film with Duvall snowbound in an empty hotel and Jack Nicholson going crazy. She nodded. "Stanley Kubrick. Well, of course, Robert Altman was almost the only director I'd ever worked with. It was time for me to test my own legs. There was a kind of possessiveness about Bob, he put me in so many of his films, but apart from him, I wasn't getting offered a lot of roles. Hardly any, for that matter: It was like he was the only one with any confidence in me. "So here was my chance to work with Kubrick." She sipped her tea. "And that was another category. Going through day after day of excruciating work. Almost unbearable. Jack Nicholson's character had to be crazy and angry all the time. And in my character I had to cry 12 hours a day, all day long, the last nine months straight, five or six days a week. I was there a year and a month, and there must be something to Primal Scream therapy, because after the day was over and I'd cried for my 12 hours, I went home very contented. It had a very calming effect. During the day I would have been absolutely miserable." She sighed. "Can you taste the oranges in this tea? Neat, huh? Well..." Sigh. "After I made 'The Shining,' all that work, hardly anyone even criticized my performance in it, even to mention it, it seemed like. The reviews were all about Kubrick, like I wasn't there...Perhaps with a star director such as Kubrick, I said, critics get mesmerized by his name and forget the actors. "Perhaps. Well. After all of that crying, it was a real treat for me to play Olive Oyl. I loved her. Now don't laugh: I've never before been allowed to play a woman of any strength, of depth. And although Olive Oyl is a cartoon character, I think she does have depth. All of the other characters I've played in the movies...to me, they never really broke the surface. But Olive Oyl is 101 percent woman! She's not Popeye's 'girlfriend.' ...I see her as a real femme fatale." Shelley rolled her eyes like Olive Oyl being a femme fatale, and I half remembered the stories about how she'd been discovered by Altman and cast in a movie although she had never for a moment intended to be an actress. How did that happen? "It happened in Houston, Texas, because I'd given a party with my boyfriend Bernard at his parent's house, and Bernard was a painter. Pen and ink. Some people came over to the party who I thought were friends of his parents. They said they were patrons of the arts and wanted me to bring some of Bernard's work for a friend of theirs to look at. The next Wednesday I went over, and it was Bob Altman and Burt Remsen, who was doing casting on 'Brewster McCloud.' Of course I didn't know them. I talked about the paintings, and then Burt said, 'How would you like to be in a movie?' I didn't believe him at first. I wanted to be a great scientist, not an actress. Madame Curie was my heroine. Well, I went to see Altman's 'M*A*S*H,' which was playing then, and I thought for sure I'd end up with a role like Hot Lips. The rest, you know all about." Yes. 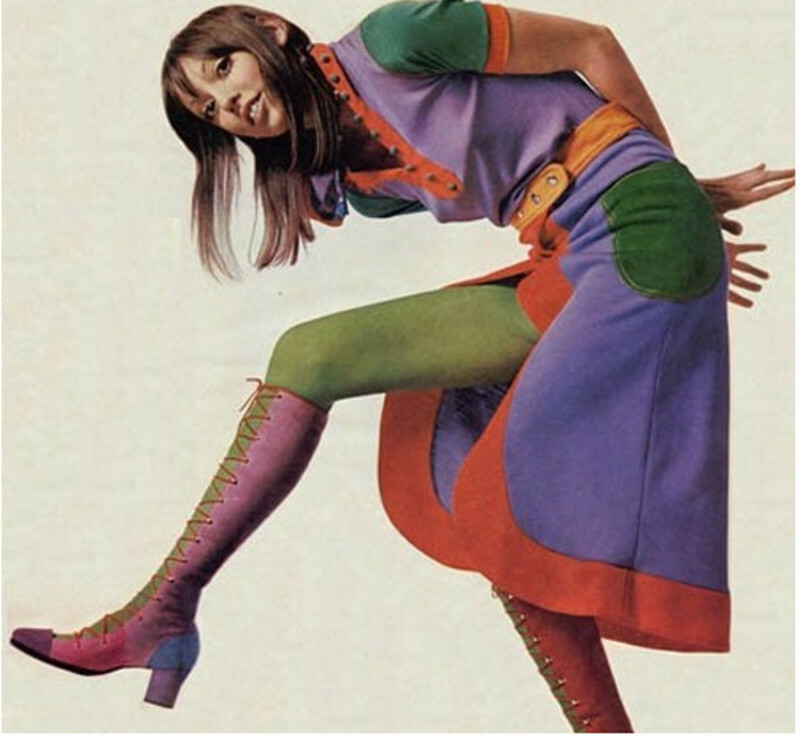 The roles in "Brewster McCloud" and "McCabe and Mrs. Miller" and "Nashville," and the starring roles written for her in "Thieves Like Us" and "3 Women": Shelley Duvall as the quintessential Altman actress. "Bob is like family," she said. "I trust him almost implicitly. He has never paid me a lot, except for 'Popeye.' He would never do anything to hurt me. When I'm mad at him, I don't say anything. Silence is the worst punishment. I lost some of my innocence on 'The Shining,' because for the first time I felt I had to have a lawyer. Bob won my trust right at the beginning. He encouraged me to be myself on the screen, to never take acting lessons or to take myself too seriously. When I play a character, at that moment nothing else exists. Certainly no theory. I try not to intellectualize. As Popeye says, I yam what I yam what I yam, and that's ALL that I yam! The teacups were empty and the setting sun was leaving a damp chill in the air. "Look at some of my books," Shelley said. "I've bought a lot of illustrated Victorian antique books...a lot of fairy tales, especially, because I'd like to do three fairy tales as a little trilogy, maybe for television. And here I have Voltaire, Dickens, Kipling, Mark Twain...I was made to play Dickens." We strolled outside and back down the path, Tuppinski crashing through the shrubs beside us. "You know what that man Altman did?" she said. "He wanted me to play a role in 'A Wedding,' which he shot up in Chicago. But that summer I was living with Paul Simon and Paul had rented this house and would have been very upset if I hadn't spent the summer with him in it. So I did, which was against my better judgment. And then came my birthday. Bob and the whole cast called me up from Chicago and sang 'Happy Birthday' over the phone, and that just about killed me, I missed them so much. And what did I do on my birthday? Served chicken salad sandwiches to Paul's parents." A pause, down by the driveway. "Chicken salad," she repeated. "So? You notice anything?" Notice anything? "Right in front of your eyes," she said. The view? "No. You're standing almost right on top of it. My car, of course! Wouldn't you just know it'd be a Caddy with Texas plates?"